Video Poker is one of the most recent inventions of the modern gambling industry, being introduced in the 1980s, and one of the quickest games to reach massive popularity with players across the globe. 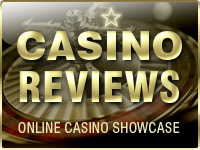 And with the help of online gambling technology, this casino classic is now also available online. Although there were predecessors to the game that appeared around the turn of the 20th century, the modern Video Poker machine wasn’t created until the mid-1970s by Si Redd. His company SIRCOMA was the first distributor of patented Video Poker machines, which became so popular that they quickly turned the company in a large-scale casino game supplier that modern players now know under the name of IGT (International Game Technologies). A mix between slot games and Poker, the appeal of Video Poker machines is greatly owed to the simplicity of the game. Unlike real Poker, where you have to face up to several opponents at a time and use advanced theories to predict your opponent’s hands, with Video Poker all you have to do is place a wager, hit the deal button, and then pick the cards to make your wining hand with. If you’re interested in playing Video Poker online but you’re unsure how and where to start, here’s a detailed guide into the game, its variations, and some tips on how to play it right. Although the video poker games might look the same at first sight there is a lot of difference between all of them so search for that particular game that you like. Video Poker machines offer you to play up to 100 hands at the same time. 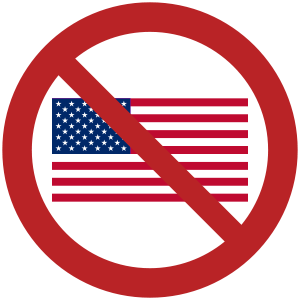 We advise beginners NOT to choose this feature. 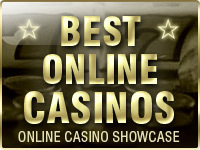 Jacks or Better and Double Bonus Poker are amongst the most popular versions of video poker played online. Playing Video Poker Online is a matter of picking a game, choosing the money you want to spend, and tapping/clicking the “DEAL” button. Once you do so, the game will produce a random combination of five cards. You then proceed by choosing which cards you want to retain by clicking/tapping them and hitting the “DRAW” button so the machine can replace your discarded cards with new random ones. The final goal is to land a winning hand. Thus, it’s also crucial to learn the winning hands before playing. If you’ve already played Poker, this will be easy, as the hands are the same. The most important thing when choosing which variant to play is the paytables. Logically, the higher the payouts are, the lower the house edge (casino’s profit) will be. In Video Poker, paytables are reviewed by looking the payouts for the Full House, Flush, and Straight hands. The most common payouts for these three hands are 8:1, 5:1, and 4:1, respectively, which is also known as the 8/5 payout. However, these payouts are not the most advantageous, as they raise the house edge significantly. The better option is having 9/6 payouts or higher, which are rarer online, but not impossible to find. Fortunately, most casinos will list the RTP (Return to Player) percentage of their games under a special section called “Fair games” or something in that matter. This list can help you narrow down your choices and spot the best variants to play more quickly. All you have to do is look for the games with the highest RTP. Deuces Wild – One of the most widely played variants, Deuces Wild is a game where the deuces (2 cards) are considered a “Wild”, i.e. they substitute for any other card in the deck. The paytables of a Deuces Wild game will vary between different software providers and casinos, but there are some variants where the player’s return can even get over 100%. Jacks or Better – Jacks or Better is one of the oldest Video Poker variants and is commonly used as a base for making other games. Like the name implies, this is a game where the paytable starts with 2 jacks or any higher pair. The best versions retain 9/6 payouts, but they are also rarer to find. Joker Poker – Similar to Deuces Wild, in Joker Poker the “Wild” card is the Joker card. This variation has a paytable based on the Jacks or Better/Kings or Better variants, with the difference being that you’ll be playing with 53 cards instead of 52. There are also bonus payouts available for a Royal Flush or 5-of-a-kind hand with a Joker card. 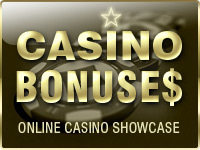 Double Bonus – This is another Jacks or Better variation that comes with additional payouts. The biggest changes is that it has different payouts for 4-of-a-kind hands like four 2s, or four 5s, the highest being 4 aces. Multi-hand Video Poker – In recent years, there have been several classic Video Poker variants that have been boosted with multi-hand playing. Some will allow you to play up to 5 hands, while others can even go up 100 hands. It all depends on the software provider. 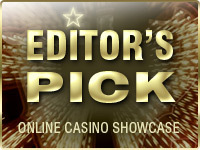 Find the best variants to play – You can check out different casinos and compare their RTP and paytables. Learn the Poker hands – A must before you even consider spending any money. Practice strategies for those exact variants – If you’re playing Deuces Wild, read up on strategies and tips for that specific game, and so forth. Most casinos also let you play the games for free, which is great for training. Read up on probabilities – Knowing which hands you have a higher chance of winning will help you adapt your strategy on the go, rather than chasing almost impossible hands all the time. Keep yourself disciplined – Never spend what you don’t have and keep your mind cool. 20% of the hands dealt in a game of Jacks or Better will be winning hands. A Video Poker predecessor was produced in the 1930s by Charles Fay. The machine was called Skill Draw and used mechanics to produce a hand of five cards. Players could also choose which cards to hold by pressing mechanical buttons. One of the most famous Video Poker players is John Kane, who after years of playing accidentally stumbled upon a bug in a Game King machine and exploited it to win multiple jackpots. He was subsequently arrested with his friend who helped him test the bug but the charges were dropped after a while. According to current stats, there are over 25 different variants of the game, each requiring a different strategy to play.